Let me start off this review by saying that Sunny is turning out to be one of my favorite films of the year. So, when I realized that I had watched the Theatrical Cut of the film and that there was a Director’s Cut available, my curiosity peaked. Sadly, there’s actually not much difference between one or the other, as the scenes included in the film are mostly inconsequential to the plot. 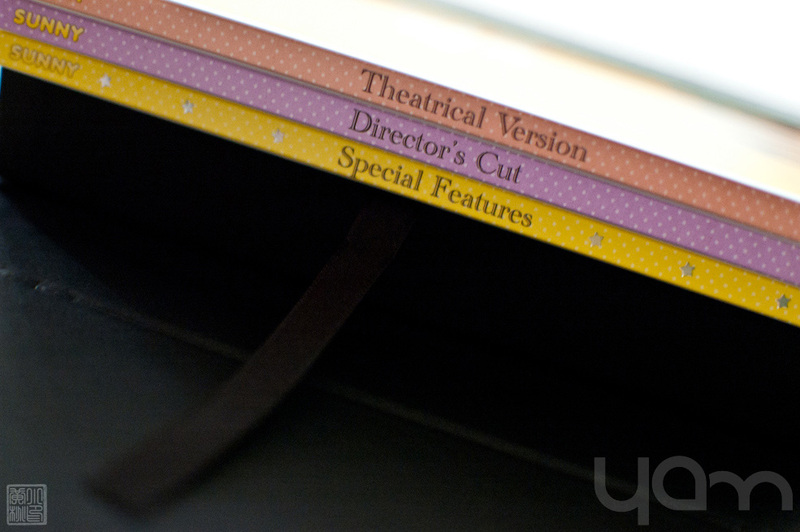 I actually kind of prefer the Theatrical Cut as a whole. Having said that, the Korean products that I’ve gotten this year haven’t disappointed me. Sunny is no exception. 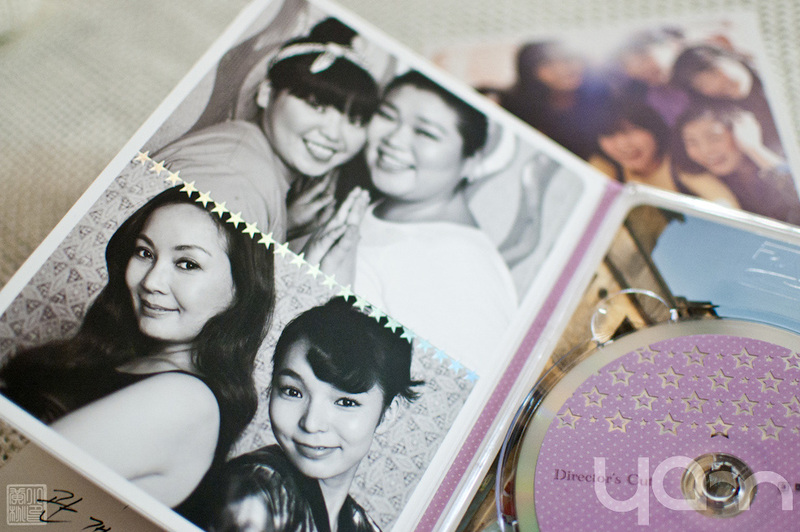 The packaging looks like a really posh yearbook with a thick cardboard case covered with cloth-like fabric — you know, like the encyclopedias we used to have. 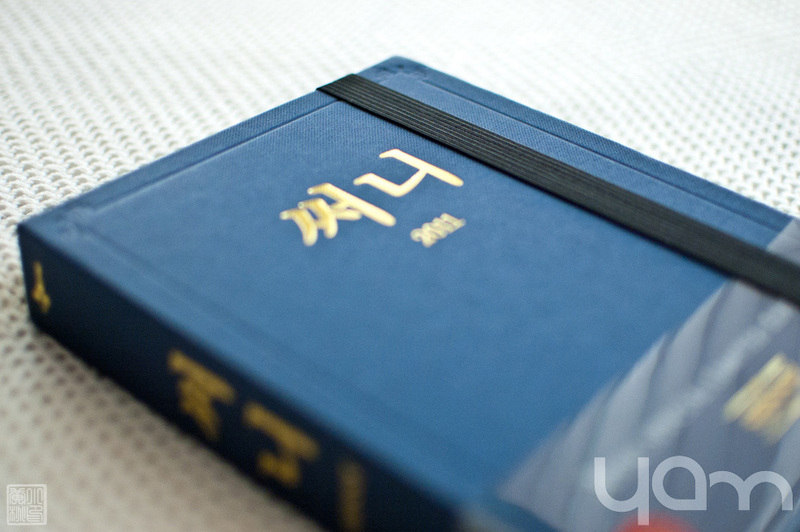 The original Korean title and the year are letterpressed and printed with a golden metallic ink on the front and on the spine. 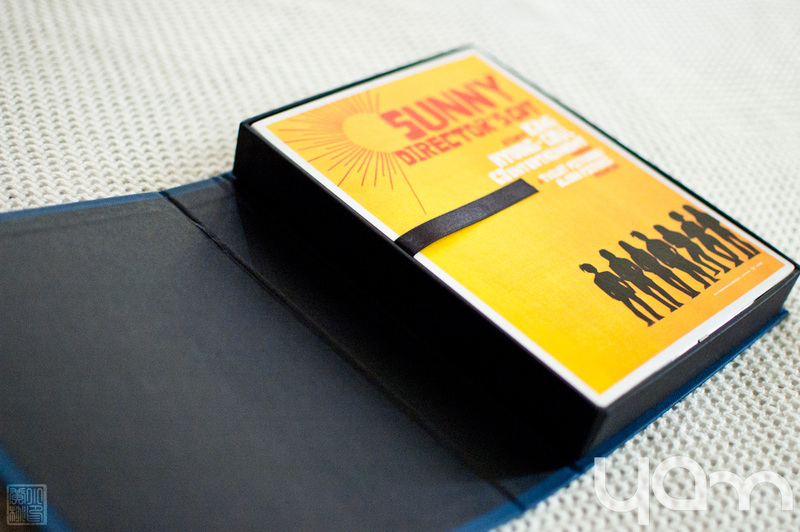 Taking the case out of its plastic over-cover, which carries the product and content information, as well as sliding the elastic band holding the plastic and case together, you’re presented with a slightly oversized postcard of the film’s Director’s Cut poster in Saul Bass style, the three different slim cases of both of the versions of the film, and the special features. The video transfer isn’t super clear, though that might be my own fault for watching so much high definition content lately. However, there seems to be image problems in bright scenes, like in the beginning when Nami is having breakfast. I also wasn’t able to fully notice the 5.1 Dolby Surround mix, and even my player was labeling it a 2.1 mix. As far as extra content goes, it all goes wasted on me because none of it is subtitled. That was to be expected, I think it’s very rare to find subtitled extras especially in Asian editions of films, which is kinda disappointing because the 40-something-minute Making Of seemed to be interesting, as well as the short supplements in The Art Direction and The Music. However, I would have loved if all three commentary tracks had been subtitled. It’s not like you can even turn the commentaries on and go along with them, they’re just completely wasted on the non-Korean speaker. The Bluray version seems to have only the Director’s Cut in high definition, while the Theatrical Cut is presented in DVD, so maybe you’re better sticking with the DVD version. No idea how different the packaging is for both. 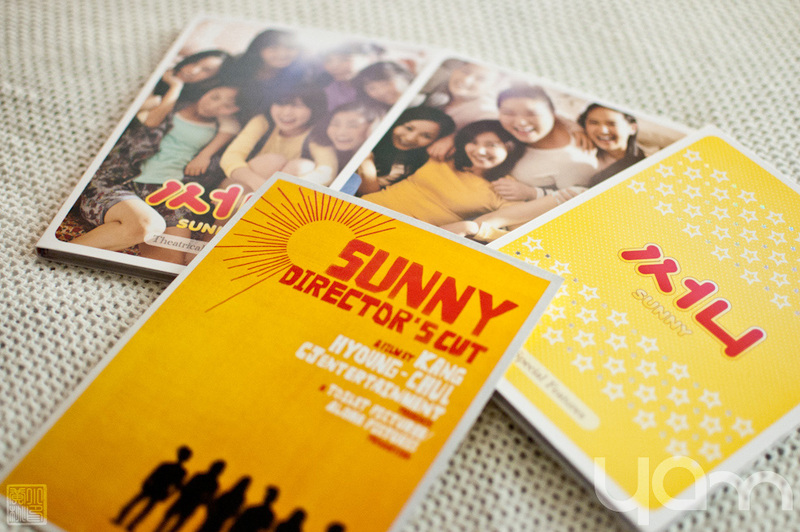 Sunny is available to buy in YesAsia in this 3-disc DVD Edition and a 2-disc Bluray/DVD Edition.